With the options of in-house, associates and overseas partners, we are able to work on anything from small scale production up to large scale (500+ units per build) projects. 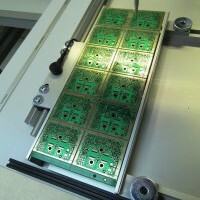 All PCB manufacture is offered with advice on materials, track / space, drilling profiling etc. We build a small quantity in-house with no charge for labour or overheads. GEM UK is a Contract Electronics Manufacturer (CEM) specialising in Far East (Hong Kong / China) based manufacturing of electronic assemblies and printed circuit boards. Since 1999, we have helped UK customers to reduce manufacturing costs and improve quality. Our staff have been involved in the Far East manufacture of PCBs since 1992 and PCBAs since 1999. We understand the difficulties and have developed systems to ensure trouble free production. Our product range is from the simplest single sided bare board to complete unit assembly. GEM began life in 1992 with a small scale manufacturing facility producing single sided and double sided PTH boards but soon changed direction and began importing from the Far East. Our customers benefited from much lower prices and consistently high quality. Since those early days we have gone from strength to strength. 80% of our sales are for Far East built PCBAs with the remainder being Far East bare boards and some small scale local assembly. Our growth over the years has been steady and sustained. 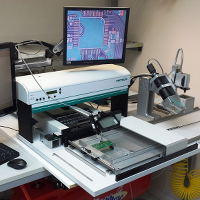 The manufacture of PCBs (bare boards) and PCBAs (assemblies) present particular problems, each job being different in terms of construction and function. To be justifiably described as “specialist” in our industry requires experience of design, manufacture and assembly. This is where we can help you. Our staff have many years of experience in all aspects of the industry and will be pleased to assist in making your production as cost-effective and trouble-free as possible. Our main assembly partner Tradpost, with whom we have been working since 1999, are ISO9001:2008 and UL approved but we can offer most manufacturing standards. We can reliably supply your products to the required standard at the best price. The following are some of the things we will NOT do: Use lower grade or substitute components; buy from grey market sources without your explicit instruction; sub-contract some or all of your work to cheaper factories; artificially reduce the initial contract price. Part of our overhead savings has been invested in a high-tech in-house prototyping facility. We build your prototypes on a zero profit basis – you pay for the cost of components, tooling, consumables and shipping only. The remainder of our overhead saving allows us to cover the cost of customer visits to our factory in Hong Kong and Shenzhen. There are some (minor) strings attached but it is a genuine offer – we expect that you will have no reservations after your visit and we want your business. Our Gloucestershire office handles project management, BOM specification, PCB specification and approximately 80% of component purchasing (the remaining minor items are factory supplied in China / Hong Kong), QC on inbound components, QC on completed assemblies from the factory. We hold buffer stock of your finished goods here in the UK ready for next day delivery. We are ISO9001:2008 approved. The factory is ISO9001:2008 and UL approved. Visiting our factory in Hong Kong and Shenzhen, at our expense. Like to find out more about what GEM can do for you?